Backed up content is not a waste of time or resources. 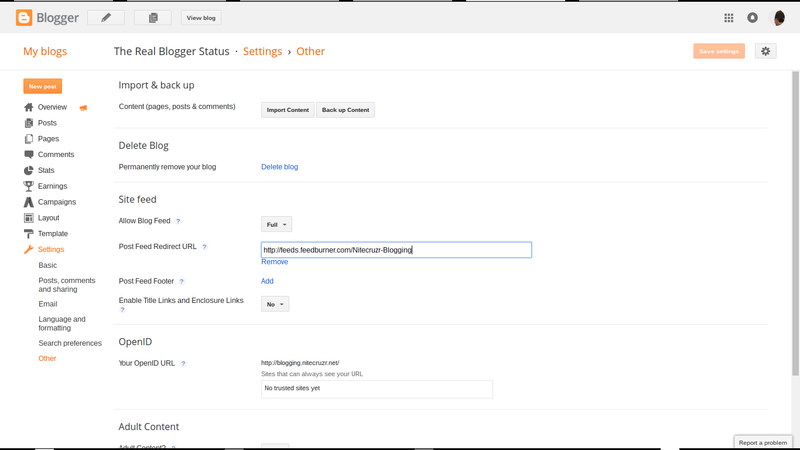 Backing up content - comments, pages (static pages), and posts (dynamic pages) is a very quick task - that consumes a minimal amount of resources. Many people will benefit from a daily routine of backup. Backed up content can be used, in a variety of ways - if it is available. 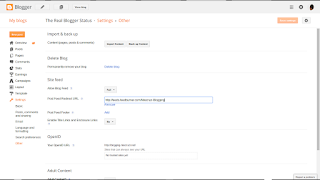 Periodic backup of content is simple - and may save you much inconvenience. Start from Settings - Other. Click on "Back up Content". 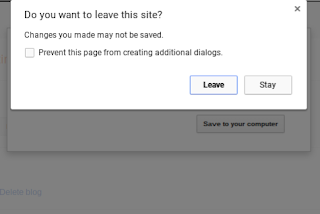 Click on "Save to your computer". Some operating systems may leave the browser, to save your content. 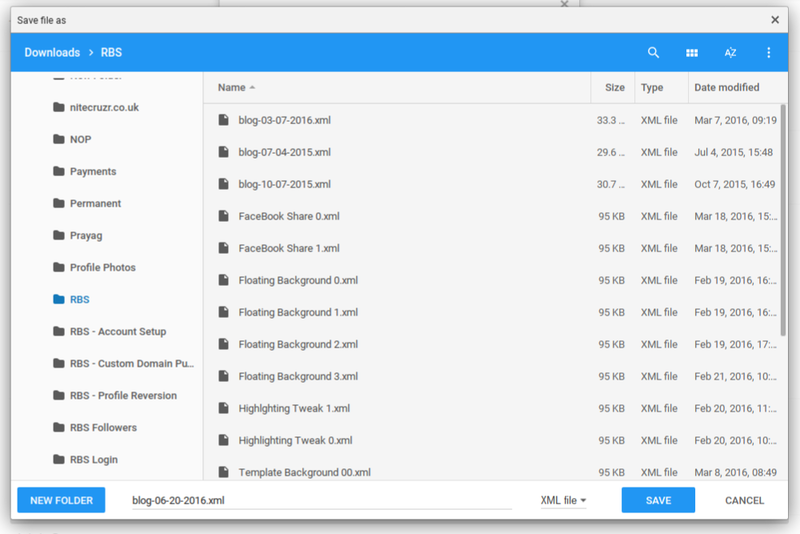 Now, you use the file manager provided by your operating system, to select a file / folder, and actually save the file. 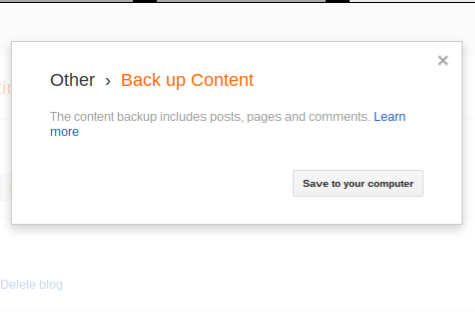 "Back up Content" is useful, in several tasks. You'll find that daily backups uses a minimal amount of time, and computer resources. And even if you don't ever use the backed up content, you will be better off having it. Exporting content, to a different publishing system. Moving content, to another blog. Recovering from a corrupted template. All of these tasks use the "Back up Content" wizard. Do this regularly - and you won't regret it. Just remember where you save the content. 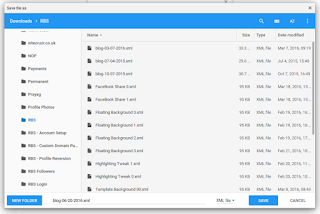 Setup one or more standard folders, on your local computer. 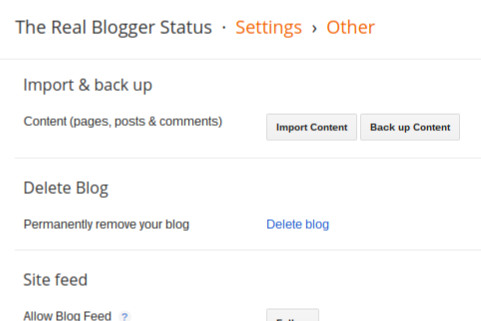 Using the "Back up Content" #Blogger dashboard wizard is a good task to do frequently - and regularly. It will save you a lot of time and trouble, if ever needed.